A lot of what comes with having a child is unexpected. The pain of labour, despite what everyone has told you, despite the fact you know it’s going to do more than smart, is unexpected. The unrelenting sleep deprivation of the first however long, although also not a surprise, is unexpected in terms of how intense and challenging it is. The initial shrinking of your world, of your days, into feeds and nappy changes and winding and cuddling and pacing and achieving precious little beyond changing out of your pyjamas at midday into jogging bottoms and brushing your teeth at 2pm, is unexpected. The love, although again you knew it would be there, is unexpected in its strength, its depth, its ferocity. And then suddenly you blink and a toddler is standing before you. 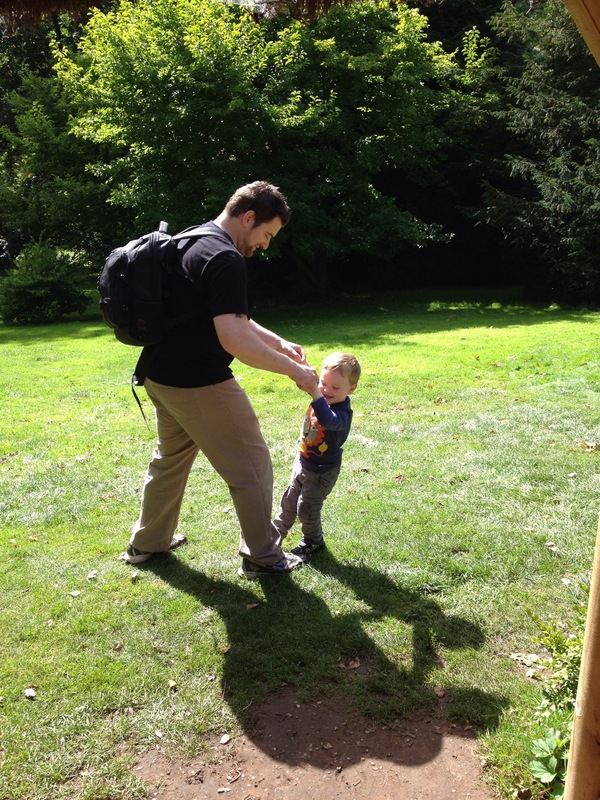 A toddler who walks and talks and actively makes sense of the world before your very eyes. And for me this has been unexpected because when we decided to try for a child, I don’t think either of us saw beyond having a baby, beyond nappies and weaning and babygros and milk and a tiny little thing that you would cradle in your arms. 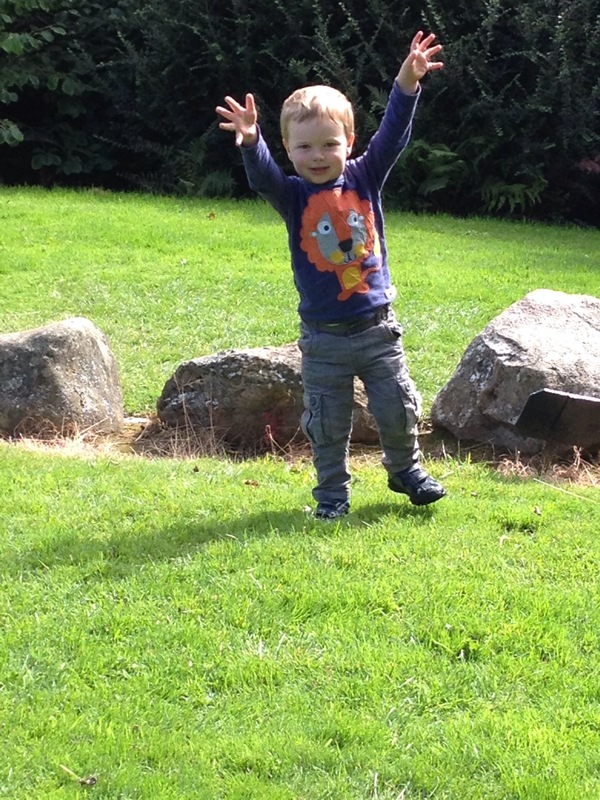 What having a toddler has given us, wholly unexpectedly, is the chance to look at the world afresh. We are lucky enough to raise our child in a developed country. We have water on tap, we earn enough to keep him fed and clothed and sheltered. He has not been exposed to any hardship beyond not being able to read Barry the Fish with Fingers for the fiftieth time today or not being allowed to watch Chuggington for every waking minute. And so he has no sense of fear, no awareness that the world can be a frightening place, or a sad place, or a difficult place. He has no idea that people can be cruel, can fight each other because they believe in different things, can set out to harm each other. His world is bright and shiny and new. He takes delight in everything he sees. He relishes every day, every new thing he is exposed to. He is open minded about new experiences, places and people. He judges nothing until he has tried it (I’m glossing over his attitude to food here.) Having Blake has helped us to re-examine the world around us and made us far more appreciative of it than we have been for years. Today we had a simply gorgeous afternoon. 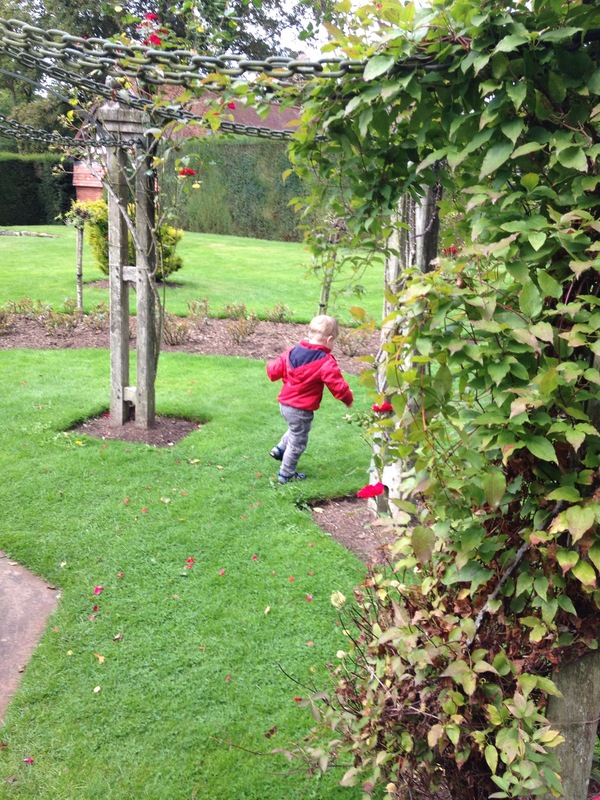 We visited Wightwick Manor – a National Trust property in Wolverhampton. If you’ve been, you’ll know it has 17 acres of higgledy-piggledgy rambly grounds – with an orchard and ponds and a woodland walk and a topiary. Until we had Blake I associated the National Trust with being a sulky 14 year old on a Bank Holiday, grouching round dark houses with tapestries, drinking strong tea and going for drizzly walks around parkland in a mac. But take a toddler to a National Trust property and how your eyes are opened! 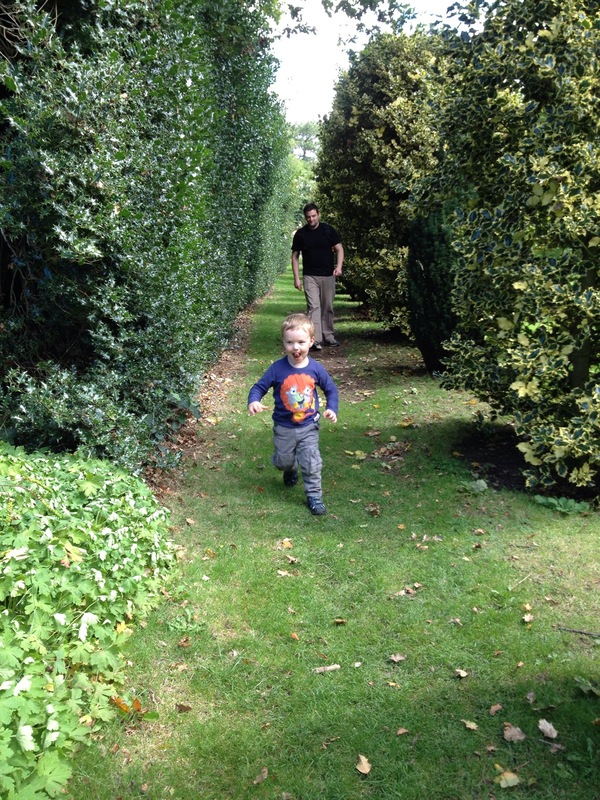 A topiary, it turns out, is quite the perfect setting for a glorious hour of hide and seek. 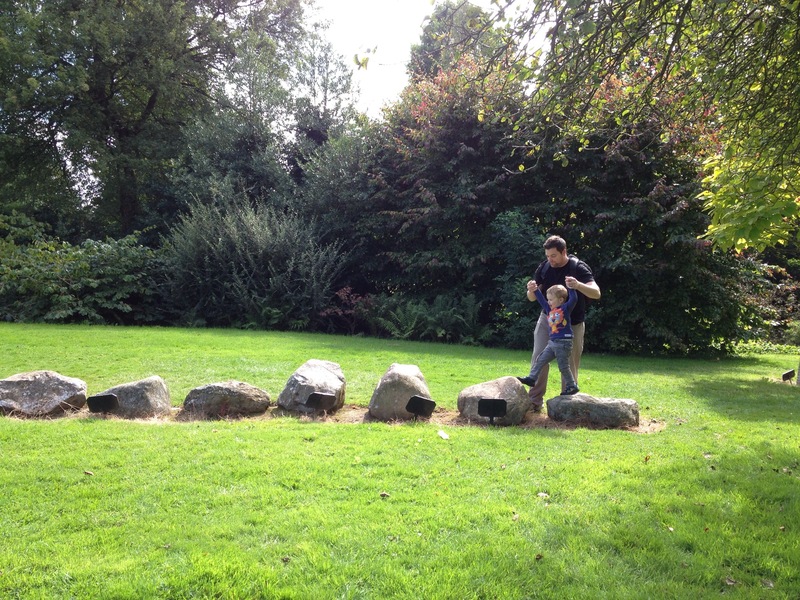 Woodland is, of course, the home of the Gruffalo and the Mouse, and you must actively seek them out. Orchards can be raced around, lakes crossed by bridges (A BRIDGE MUMMY, A BRIDGE!! ), rocks jumped on, apples fallen from trees analysed in detail, birds fed with discarded raisins, slopes charged along and steps skipped up. Even an open expanse of lawn can be danced on. I feel that I spent my twenties looking at the world but only seeing about twenty percent of it. Spend an afternoon looking at the world through your toddler’s eyes and it’s like discovering it all over again. Unexpected and exciting and beautiful. I hope I never again lose what this feels like. Previous Post Today is the day: Sat 30th August 2014.